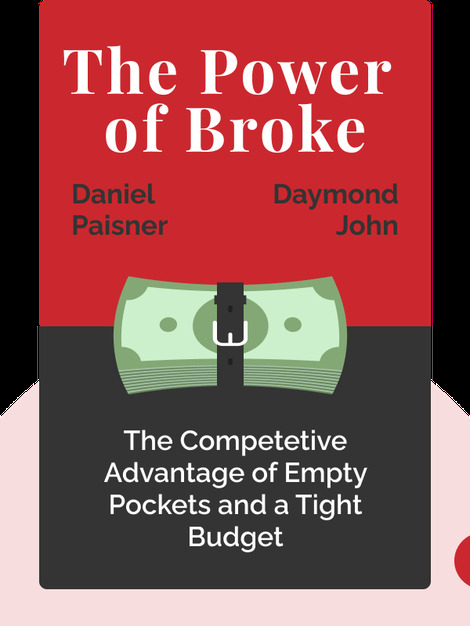 The Power of Broke (2016) reveals how starting a business with a limited budget doesn’t have to be a disadvantage. 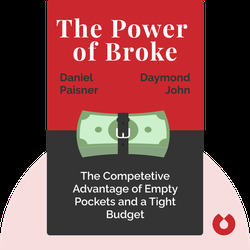 With the right perspective, one can harness the Power of Broke to produce astounding creativity. With this fresh look at the business world, you’ll stop seeing money – or a lack thereof – as a barrier to entrepreneurship, because the truth is, anyone with the right idea and a can-do attitude can start a business. So what are you waiting for? Daymond John is an entrepreneur, investor and one of the panelists on the ABC television show, Shark Tank. He is also the founder of FUBU, a successful hip-hop-inspired clothing line. Daniel Paisner is a prolific collaborator in the publishing world, having cowritten books with celebrities, politicians and athletes. He is also the author of several novels, including Obit.